The Times and CNN, however unintentionally, have shed light on what ensued after Trump finally fired Comey. Apparently, it finally dawned on Trump that, on Jan. 6, 2017, Comey had treated him to the time-honored initiation-rite-for-presidents-elect — with rubrics designed by former FBI Director J. Edgar Hoover. 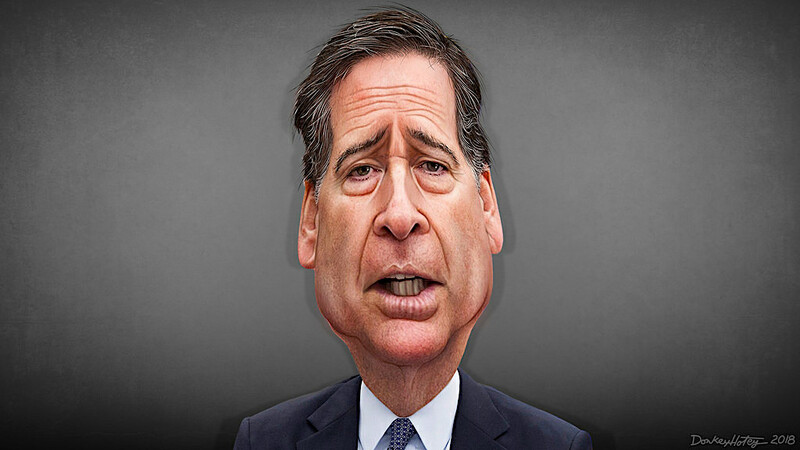 It seems then-FBI Director James Comey rendered a good impersonation of Hoover that day when he briefed President-elect Trump on the scurrilous “Steele dossier” that the FBI had assembled on Trump. Excerpts from an interview Trump gave to the Times (below) after the firing throw light on what Trump says was at least part of his motivation to dump Comey. Would Comey really do a thing like that? Was the former FBI director protesting too much in his June 2017 testimony to the Senate Intelligence Committee when he insisted he’d tried to make it clear to Trump that briefing him on the unverified but scurrilous information in the dossier wasn’t intended to be threatening. It took a few months but it seems Trump figured out what he thought Comey was up to. “… Look what they did to me with Russia, and it was totally phony stuff. … the dossier … Now, that was totally made-up stuff,” Trump said. “I went there [to Moscow] for one day for the Miss Universe contest, I turned around, I went back. It was so disgraceful. It was so disgraceful. “Brennan replied: “I don’t do evidence.”….When you are Director of the CIA and totally Arrogant, you don’t need Evidence. To suggest that The U.S. President was/has colluded with the Soviet Union is a “Beat Up” by the MSM, which very conveniently covers for “Those” who have enormous power over the USA….And, guess who THEY are? ?